Our first Christmas song of the year. The holiday season is upon us. I waited until December to share the first Christmas song of the year. At least I think I did. And I didn’t really do it on purpose. I like Christmas music and usually start listening sometime in the middle of Thanksgiving. This song was sent my way. It’s got a good melody and a good message. I don’t believe I’ve heard of Carl Stuck before. So I’m pretty sure he’s brand new to us here at Country Music Life and it’s a great debut with this Christmas song. The song is a great story song. The classic narrative of many great country songs. It’s about a chance meeting in an airport where two guys sit down to chit chat over some holiday cheer. One tells the other about how Santa gets so much done during the busy time of year. He may get the credit, but behind the scenes there’s an elf running the entire operation. 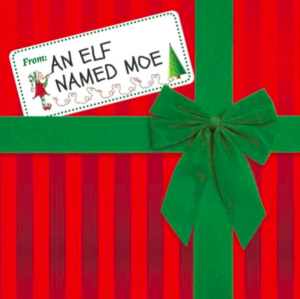 An elf named Moe. It kind of reminds me of an episode of King Of The Hill. Probably my favorite TV program of all time. Hank Hill’s boss says that Hank is his golden goose. The man that really makes the business work. The one that does the hard labor and managers everything without getting much of the credit. So this year when you see something getting accomplished think of the folks behind the scenes. Carl Stuck’s music takes me places! Mmm! If you don’t know him, you should be contacting him to get to know him! Carl Stuck has been in the Louisville music community for a long time. He is an elite musician, singer, and songwriter. He should have been well known long ago, so thank you for spotlighting this great song! He is well worth following! Spread the word about him! Carl Stuck is an incredible musician. Very accomplished guitarist too. You should hear his solos. He is one with the music and the guitar!